Hey there! This evening I have a review of a couple sets of plates from Cici & Sisi. My first Cici & Sisi plates (which I purchased so many years ago) were the typical stainless steel plates but for the last couple years most (if not all) of the plates they have released have been acrylic. I was sent the set of six Zodiac-themed plates and the two Fairytale-themed plates, focused on Alice In Wonderland and Little Red Riding Home. I've done eight manis that you can read all about below, along with my thoughts on these plates. Hey there! Since it's the last day of February and some of you lovely folks may live in places that actually get spring weather in March, I thought I should post a mani I did a couple months ago before snow is forgotten about for the year. 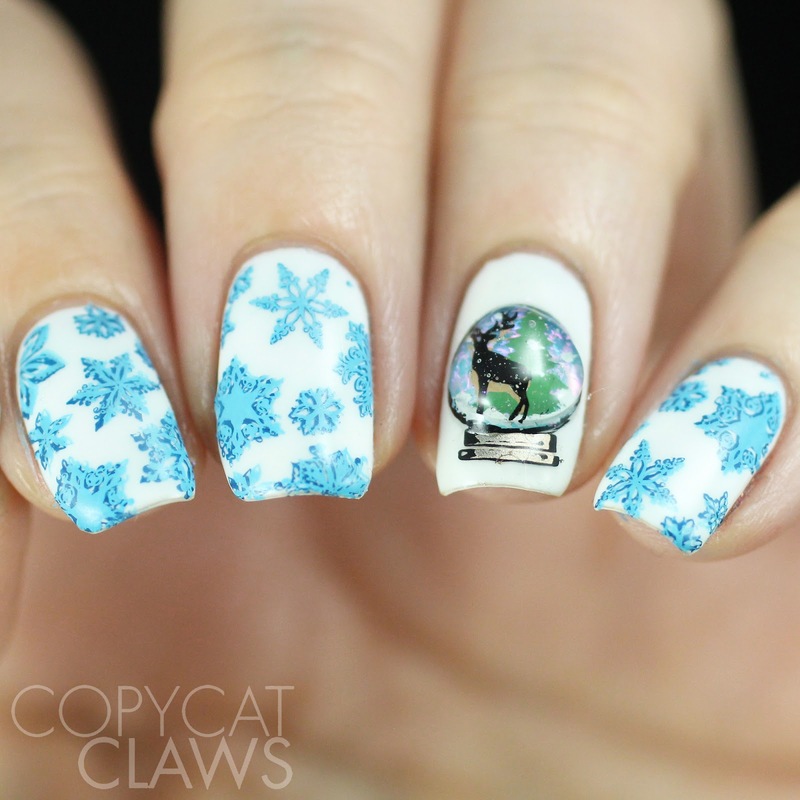 I was partially inspired by Simply Nailogical's 3D snow globe nails. She made something more like a real snowglobe while mine are fully solid. 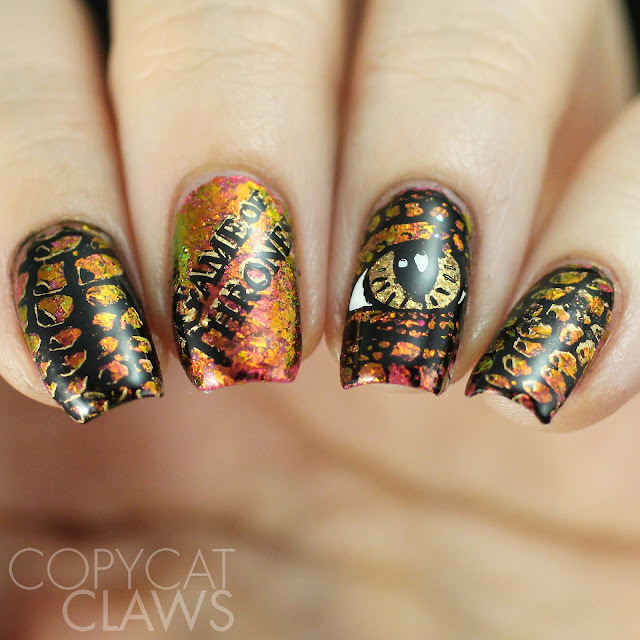 I originally did these for the 3D/embellished prompt for the 26 Great Nail Art Ideas prompt but went with some blinged out nails instead. But I did enjoy wearing these (yup, I did both hands though my right hand was VERY messy) so I wanted to share them anyway. Hey there! 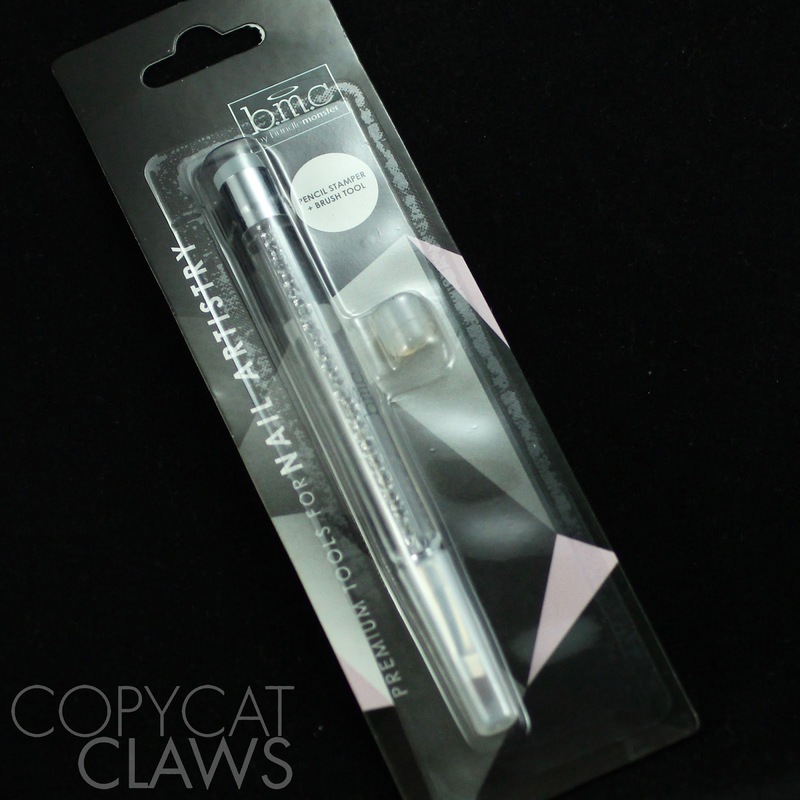 Today I have a review of an innovative new product from Bundle Monster - the Dual-ended Pencil Stamper/Clean Up Brush. It's just that. 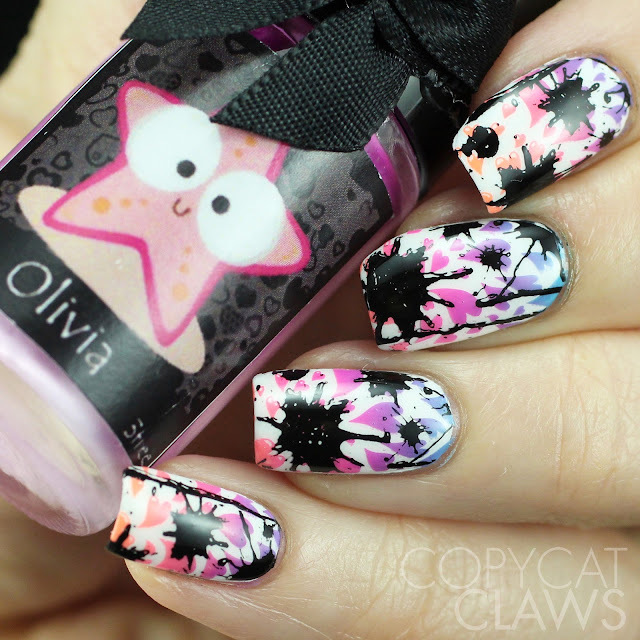 One end has a small, squishy stamper head; the other has an acetone-safe clean up brush. If you do a lot of stamping of smaller, individual images, this is absolutely a must-have as it makes placement easy AND you'll always have a clean up brush handy. I don't know about anyone else but it seems like that is the one item I'm constantly misplacing. The brush end comes with a cap so it won't get ruined and there's an extra stamper head, which are nice little extras to have. Hey there! Happy Monday to everybody! I think my brain is still stuck in weekend-mode but I'll do my best to put together a coherent blog post. 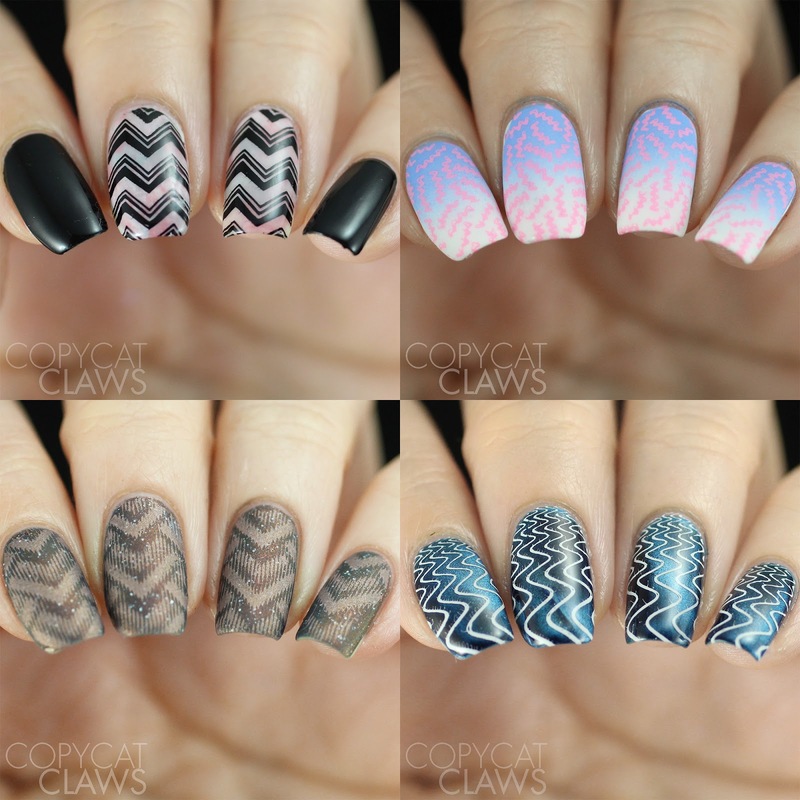 I recently received the UberChic Beauty Got Chevron 02 stamping plate to review and my official review is pretty simple - it's great! I never would've guessed there were so many chevron-variations possible but Brittany has come up with an entire second plate of all-thing zig zag. You can tell I really enjoyed this plate because I've used it in 5 full manis since receiving it. Hey there! 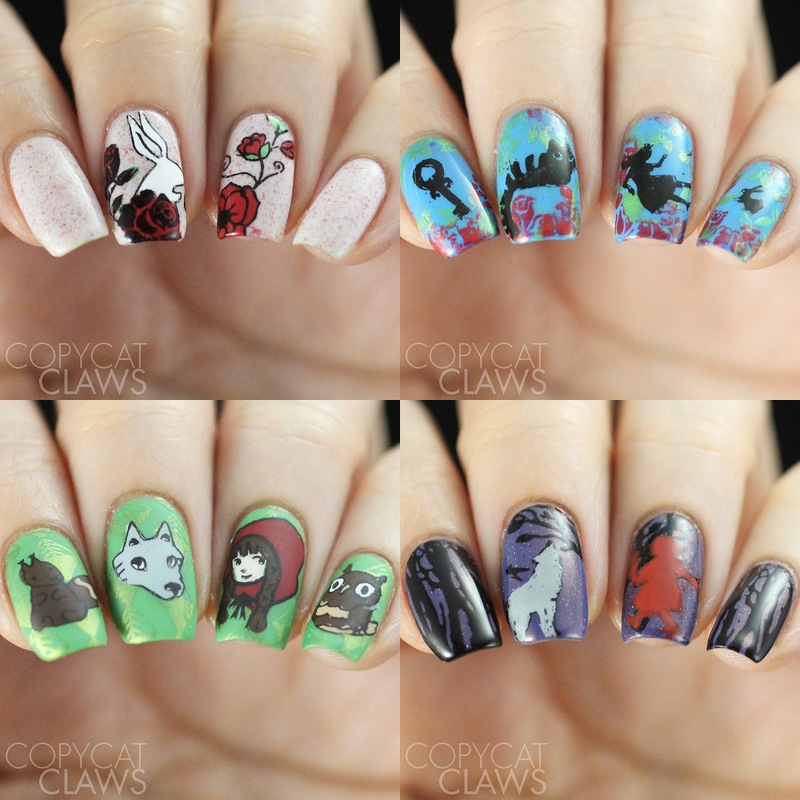 To end off The Digit-al Dozen's Mythical Creatures week, we also have Nail Crazies Unite prompt of Red & Black Hobbies. How can anyone combine such specific themes, you ask. Well I managed to do it and ended up with my favourite mani of the week. For my hobby, I chose reading. I love reading, especially at the lake in the summers (I admit that I don't read nearly enough in winter). I have read the Game of Thrones books and watched the show, sometimes repeatedly. I also listened to the entire Binge Mode podcast series on it. In other words, GoT takes enough time that it is also practically a hobby. 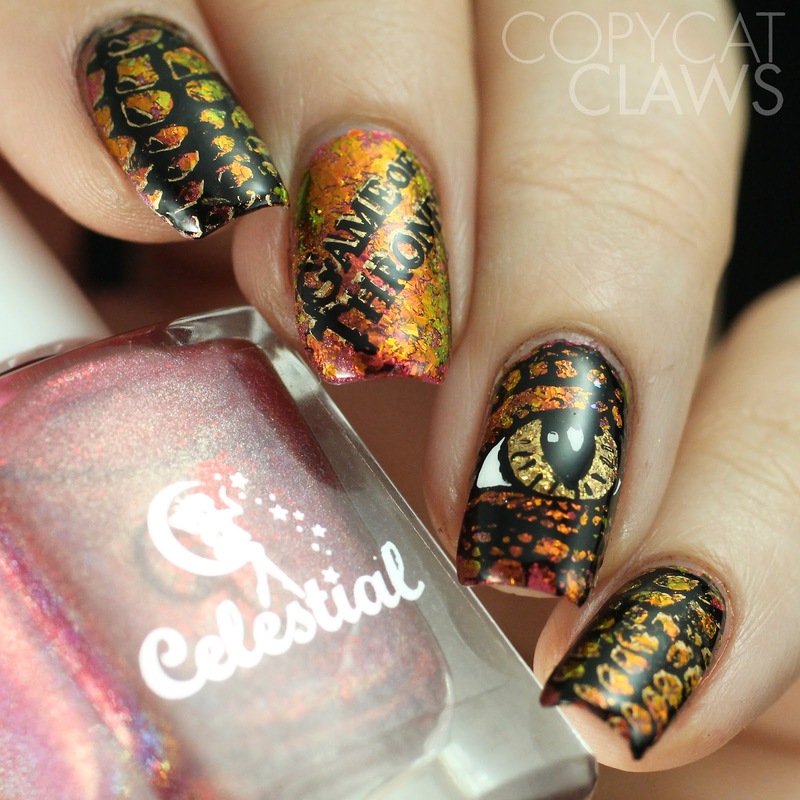 And there's DRAGONS!!! Take that super specific prompts....combo'ed! Hey there! It's the fourth day of The Digit-al Dozen's Mythical Creatures week and today is one I attempted twice and I'm still shaking my head at it. 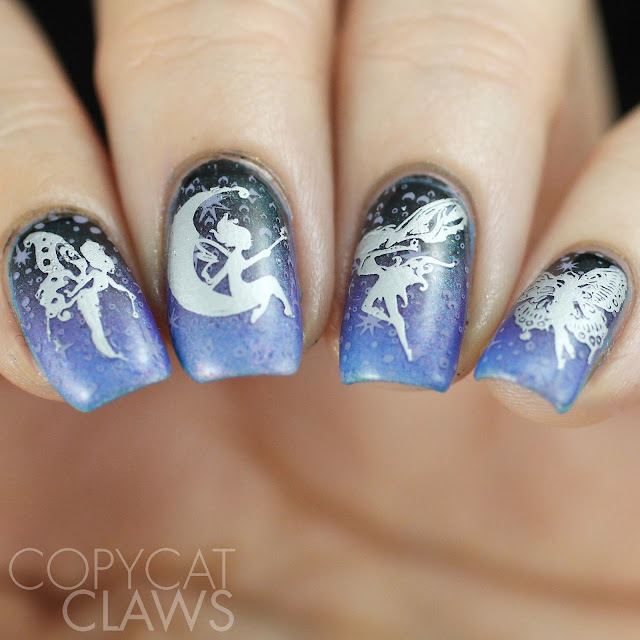 Maybe it's because I think fairies are so cute and magical but I really only have a couple stamping plates with fairy images. Unfortunately neither of my goes at this, turned out nearly as whimsical as I was hoping. After these, I gave up. It's as good a fairy mani as we're going to get from me this month. Hey there! 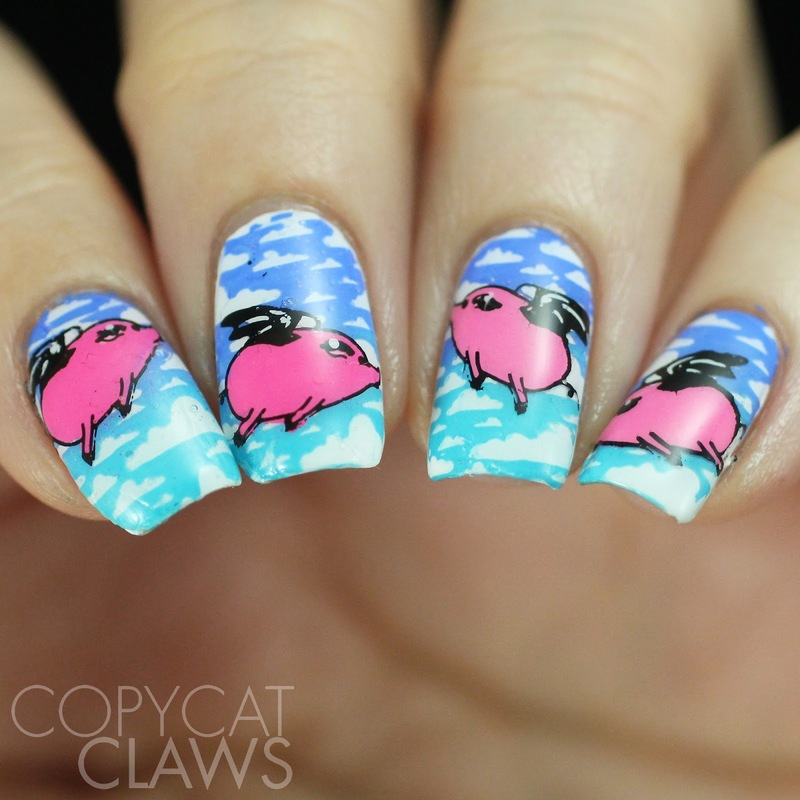 For the third day of The Digit-al Dozen I have some nail art I never would've imagined doing - flying pigs. Frequently when I'm trying to come up with ideas, I ask my sister to start listing off the first things she thinks of for a theme. For this one, I already had my own list but I asked her anyway and amazingly we both thought of flying pigs. What are the chances? So of course I had to do it. 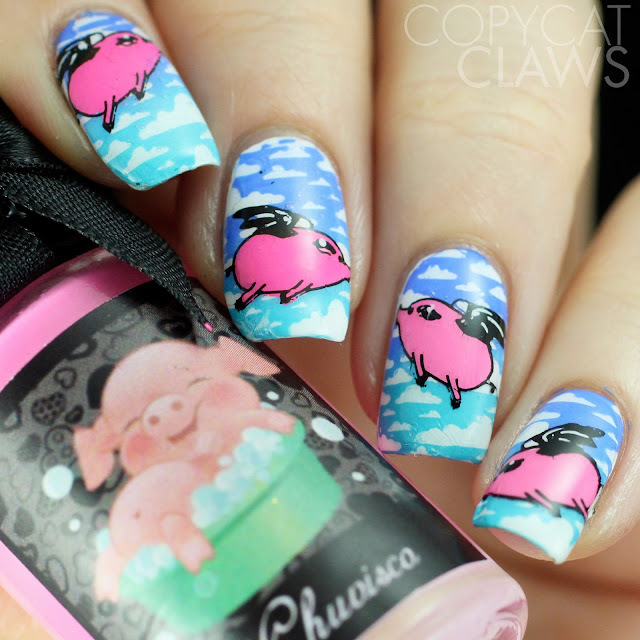 Thank goodness there is actually a flying pig image on one of the plates I have! Hey there! 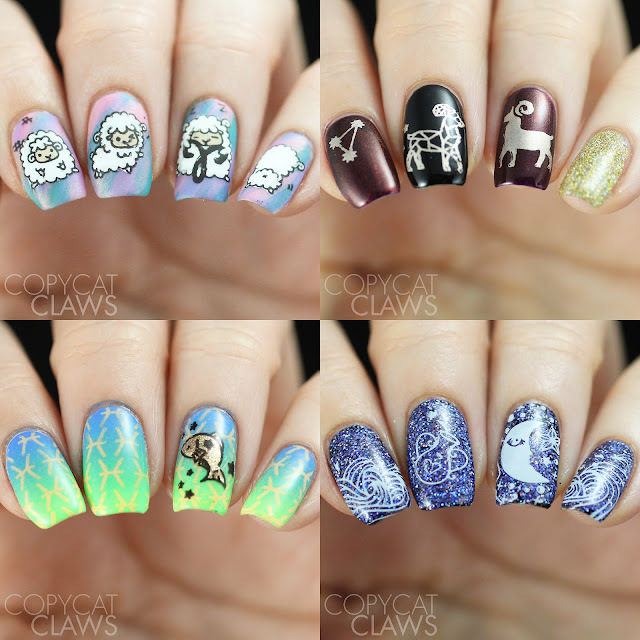 It's Day 2 of The Mythical Creatures week. Today I channelled a former DD member, Cheyenne from CDB Nails and used her amazing fire mani as a base for some phoenix nail art. 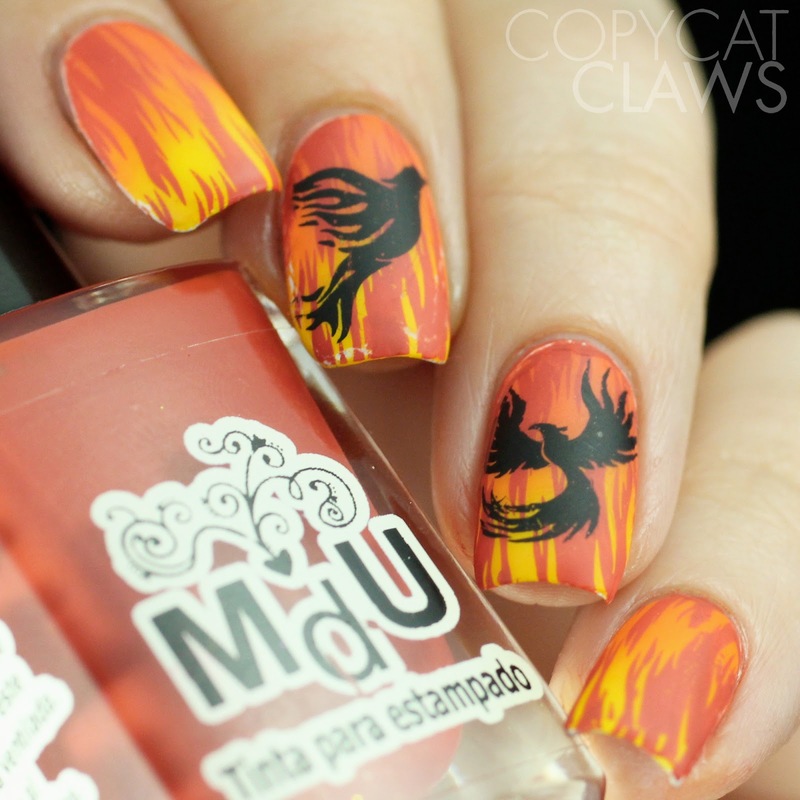 I don't actually know very much about the phoenix except that I seem to really like them on my nails. 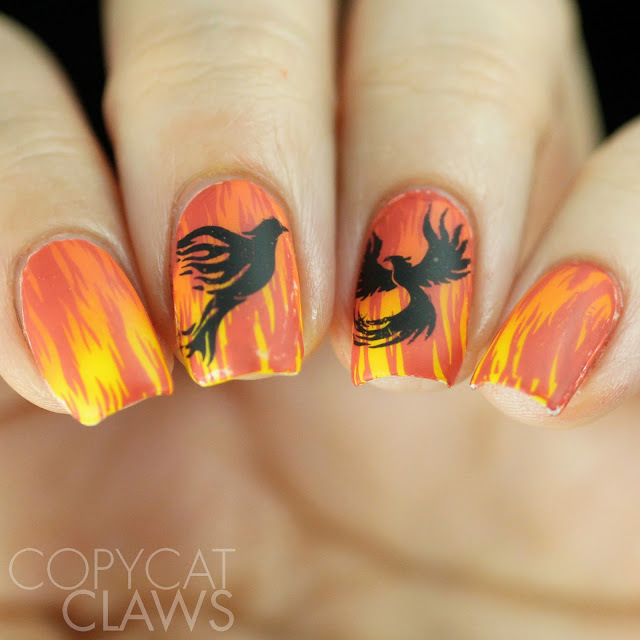 This isn't the first phoenix nails I've done and I'm sure it won't be the last. Hey there! It's a new Digit-al Dozen week...woohoo! This month we're tackling Mythical Creatures. At first I didn't really love the prompt mostly because I couldn't really think 5 unique mythical creatures but I ended up really liking some of the designs I have for you this week. 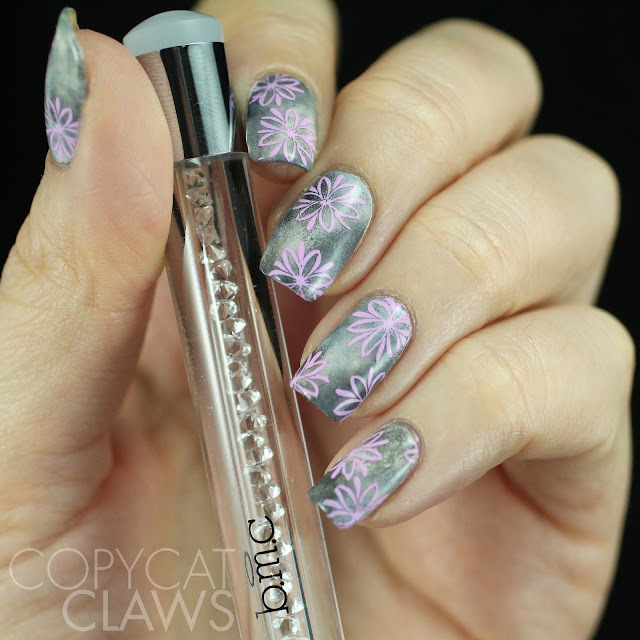 Today's mani is one that I loved. 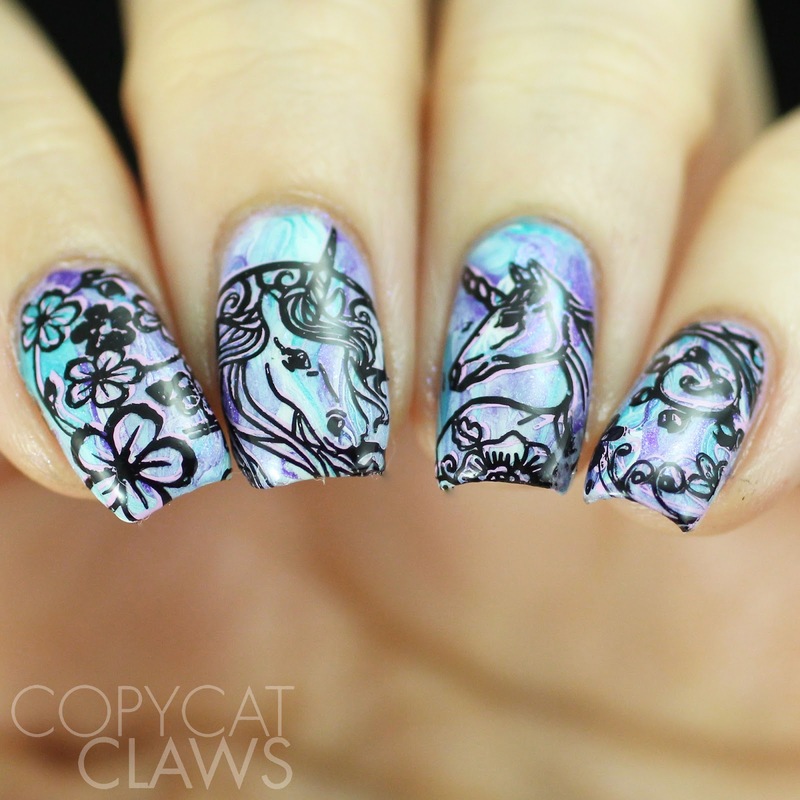 I have a feeling we'll see lots of unicorns this week and I can't wait. I think these turned out really pretty. I actually liked the base so much that I didn't want to cover it up but it had to be done. I did take a photo before I stamped though so you can see it. Hey there! 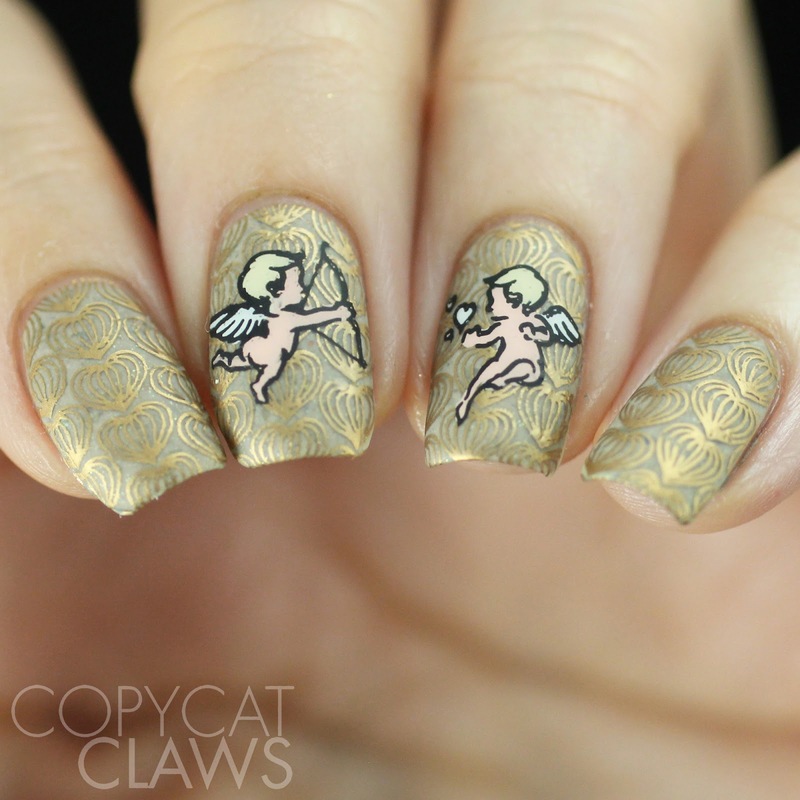 Since it was Valentine's Day earlier this week, today's 26 Great Nail Art Ideas challenge was to do a love-themed mani but there was a twist. No pink or red! I have to admit that I do immediately think of pink and red when I think Valentine's so I liked this prompt. But I did just realize that lots of my V-Day manis this year had different colors. Yay me! Hey there! Happy Valentine's Day to all the lovely folks out there! I'm a single lady so I'm not celebrating, except to go out for beer and wings with one of my friends right away. But I wanted to stop in and quickly post the Valentine's Day nail art I've been wearing over the last week or so, including my current mani (the first one I'm posting here). It also happens to be the Nail Challenge Collaborative's Love month so there should be lots of love-themed mani in the links at the end of this for you to browse. If you're curious about any of the products I used for mine, it's all down below. Hey there! Today I have a quick review of a few nail art products from Beauty Bigbang. If you haven't heard of them, they're a beauty company from overseas that carries a huge variety of products at really low prices. 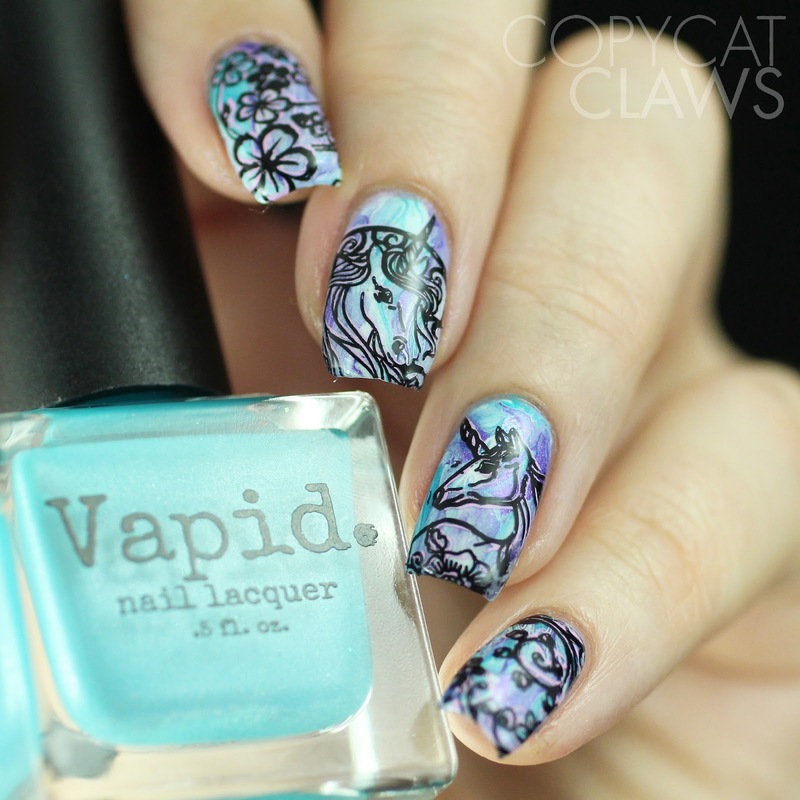 Personally I've only tried the nail art products so I can't speak for it all but the nail art items are certainly worth the cost. Shipping seems to take about 3-4 weeks which is much quicker than other companies I have ordered from. 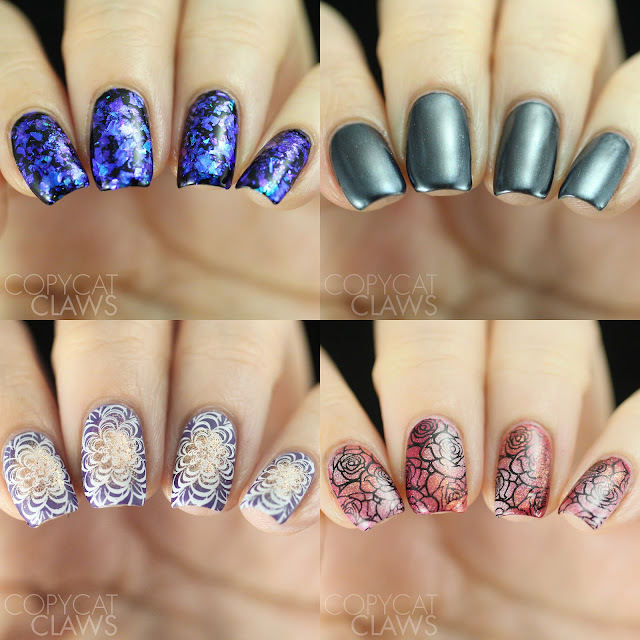 Today I have some chameleon flakies, black chrome powder, a dual-ended gradient sponge tool and a stamping plate so it's a pretty varied post today. I really enjoyed all of them and would happily recommend them all. 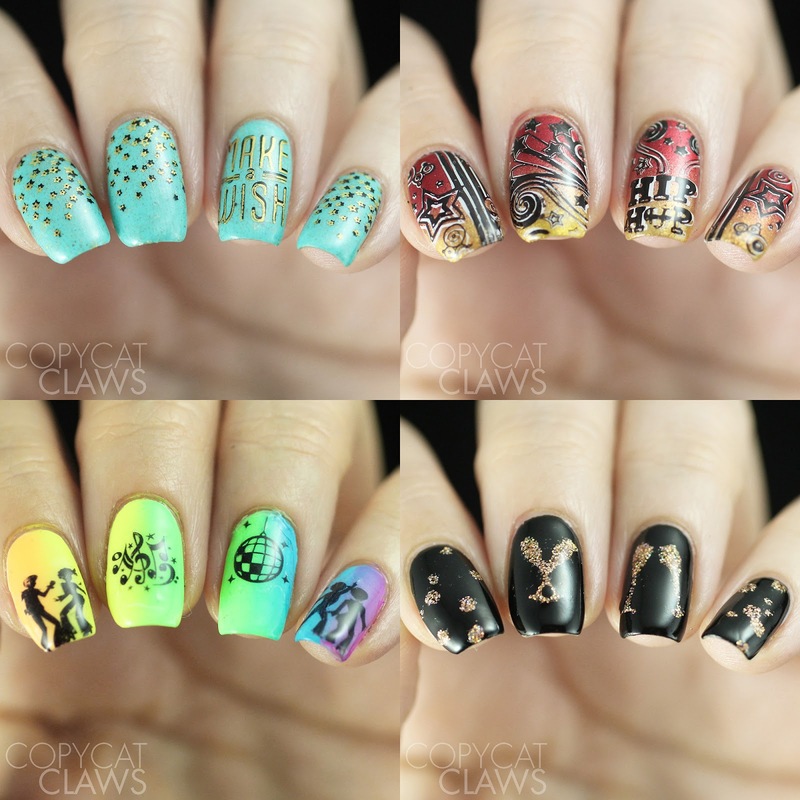 If you're interested in these or other Beauty Bigbang products, use the code "CLAWS" to receive 10% off your order. Hey there! 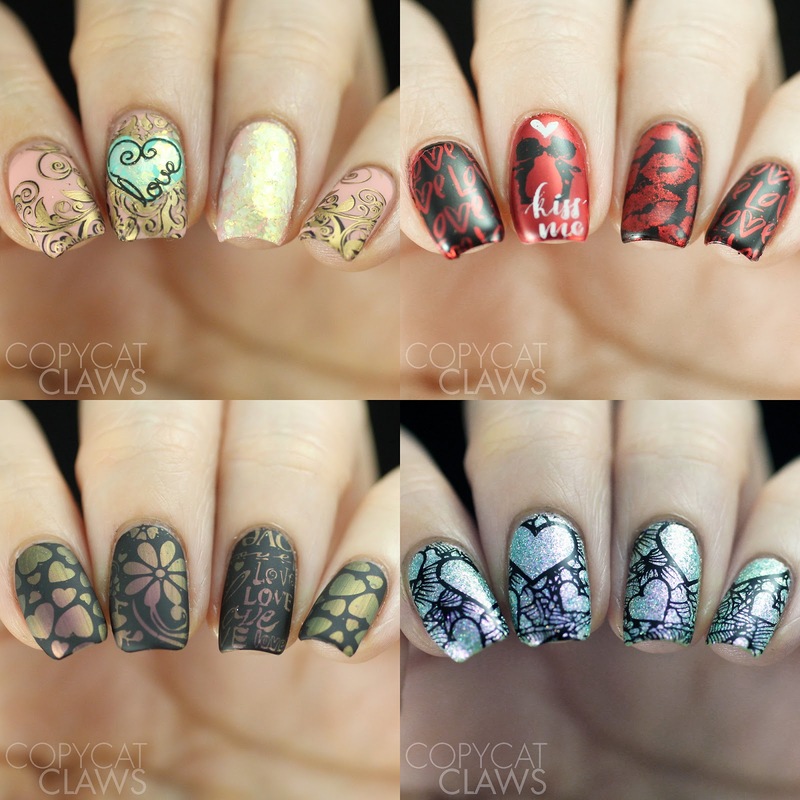 Since Valentine's Day is coming up but not everyone is necessarily fond of the day, the Nail Crazies Unite theme today is Anti Valentine's Hearts. I wasn't actually sure how to combine hearts with the "anti" part of the prompt but black splatter always does the trick, right! Since I've been loving bright colours lately, to stave off the winter dreariness, I did the hearts in a brightly-colored gradient. It's actually a bit tough to see that they were hearts but they really were. Hey there! 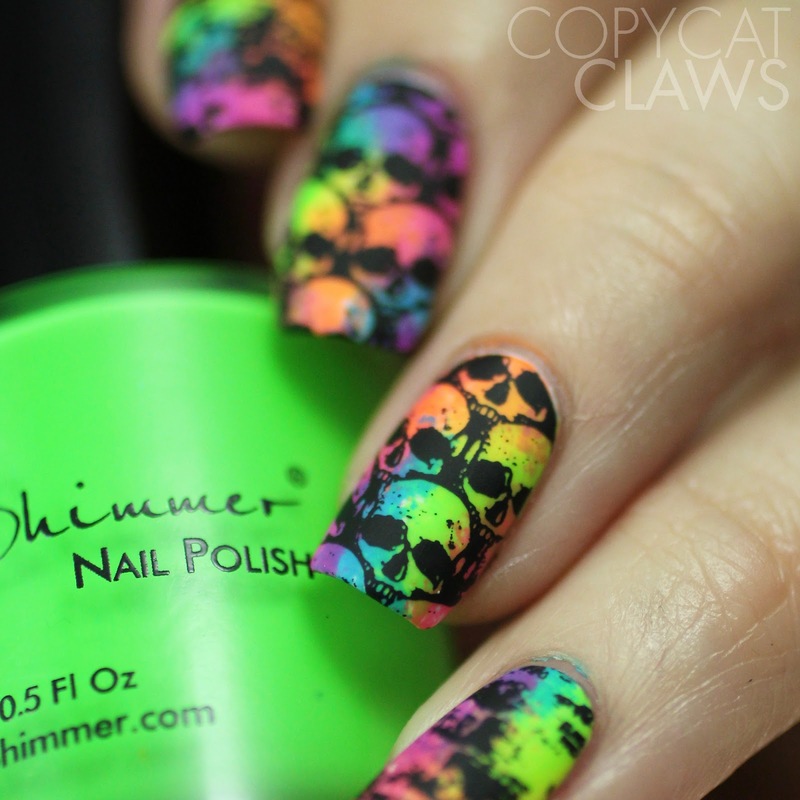 Today's prompt for the 26 Great Nail Art Ideas prompt is Neon and Black, a combination I always love. I used it as an opportunity to copycat a mani I saw last year that I fell in love with from Sam H Nails (now @samhnails2.0 on Instagram after some jerk hacked her account). The combination of skulls with the cheery neon colors is awesome, isn't it? 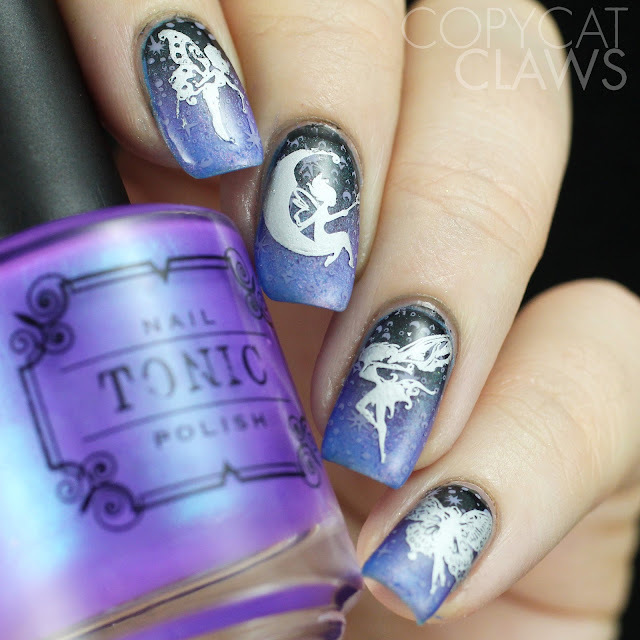 And for once my camera decided to actually show some of the brightness that this mani had in real life (which for my camera is a small miracle)! Hey there! 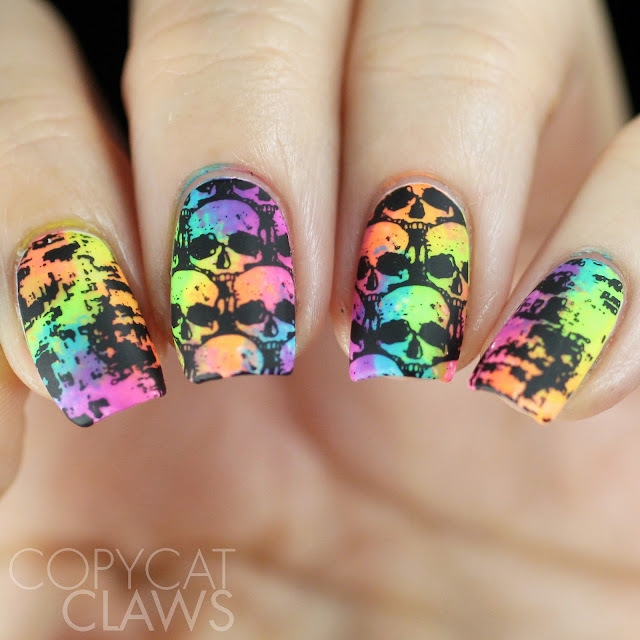 I have something new on my blog today! 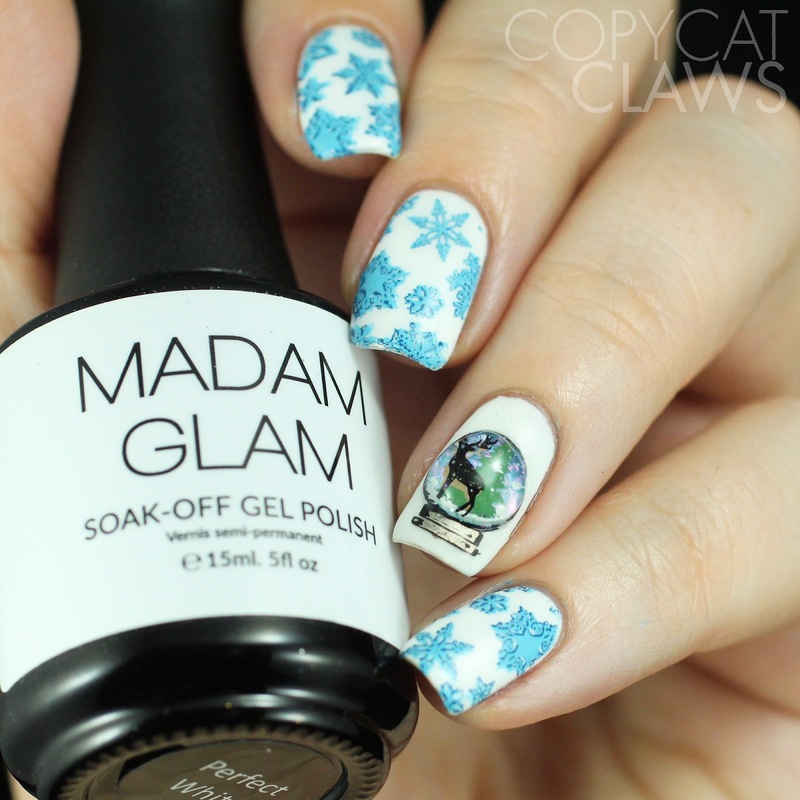 My Mani Box is a subscription box from Beautometry which I think is a great idea. 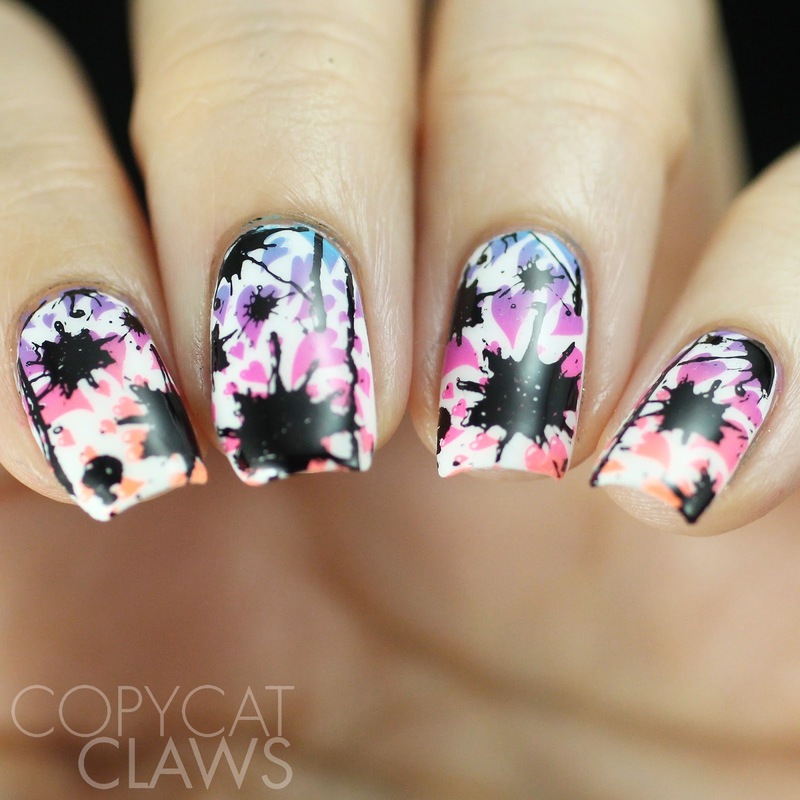 Personally I'm a giant fan of grab bags of all sorts and this is sort of a grab bag for nail art! Every month has a new theme. I received December's box which was themed Kiss Me At Midnight (presumably to ring in the new year). In my box was two MoYou London plates (you get to pick your size, regular or XL), a Ms Sparkle polish, Ribbits Stickits water decals and stencils and a Beautometry nail file. I put use to all of them as you'll see.